Colonial Revival. 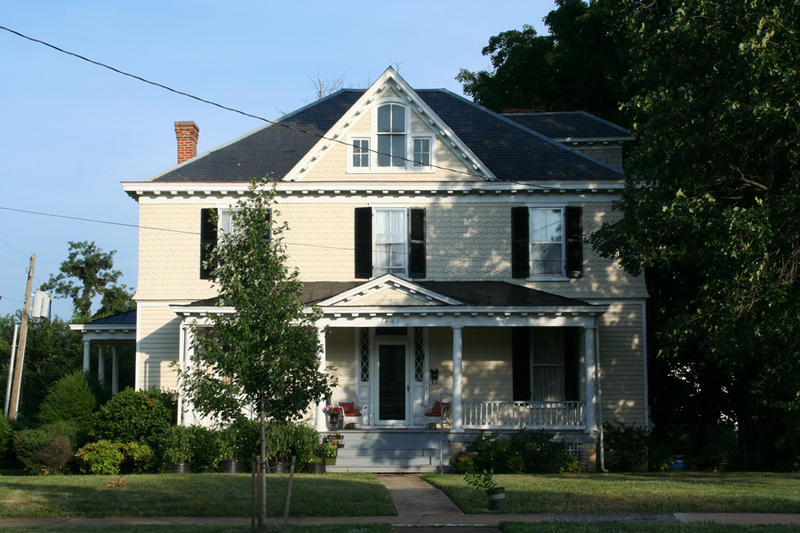 2-story, 3-bay double-pile frame house with a weatherboarded first floor and shingle-clad second story and two interior chimneys. Porch features modillion cornice and Tuscan columns and the main entrance includes transom and sighelights. Cross gable features Palladian-like window. Modified to 2 apartments in 1944.